Having climbed out of an internet black hole, I can now share the excitements of the past fortnight with my loyal readers. After all the frustrations of the past few weeks, during which I seem to have encountered more than enough incompetence to last me a life time, we manage to leave ahead of time for two weeks as ‘cruise ship entertainers’. The only difficulty seems to be that I am suffering from a surfeit of yoghurt (you may remember that yoghurt appeared in another post recently). Waste not, want not and there was the majority of a large pot left that I was loath to throw away. Consuming it seemed like a good idea at the time. We drive merrily along in our very small but fuel efficient, car, with a ridiculous amount of luggage. I would like to place on record a) that two thirds of one of my suitcases is full of C17th attire (oh, what a shame, no room for cocktail dresses) and b) that the other suitcase contains books that I am hoping to persuade people to acquire AND it was suggested to me by someone of my acquaintance, who normally does plenty of under the breath muttering when transporting of books is mentioned, that I may need to take more! We head to Southampton. 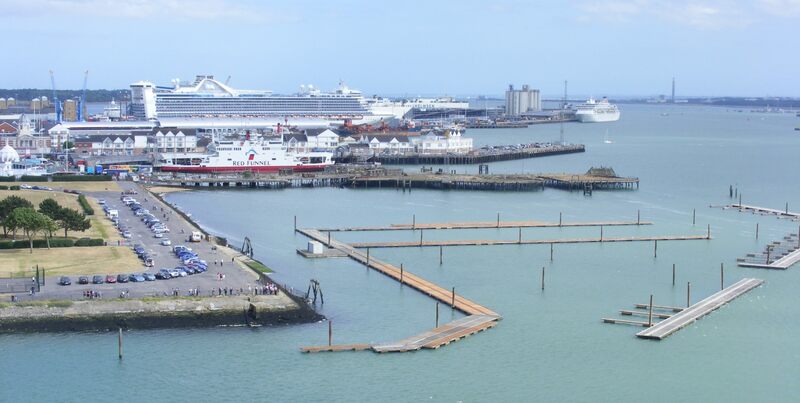 I have already been reminded several times that this is the port from which Titanic sailed – I was aware of this but probably could have done without it being brought to my attention. Then comes our attempt at making a security officer’s day. We approach with trepidation and a box full of axes, knives and saws. Said security officer is clearly thinking ‘We’ve got a right wit here’. Numerous security staff flock to the scanner to watch knives etc. being scanned. We are instructed to abandon our precious tools and are assured that they will be collected by security and make their way to the ship. Good luck with that one, they weigh several ton. We will need to keep an eye out for a security officer with a hernia. At the time of writing, I still have no clue whether or not there is a bereft barber surgeon’s kit loitering somewhere in Southampton Port security office. 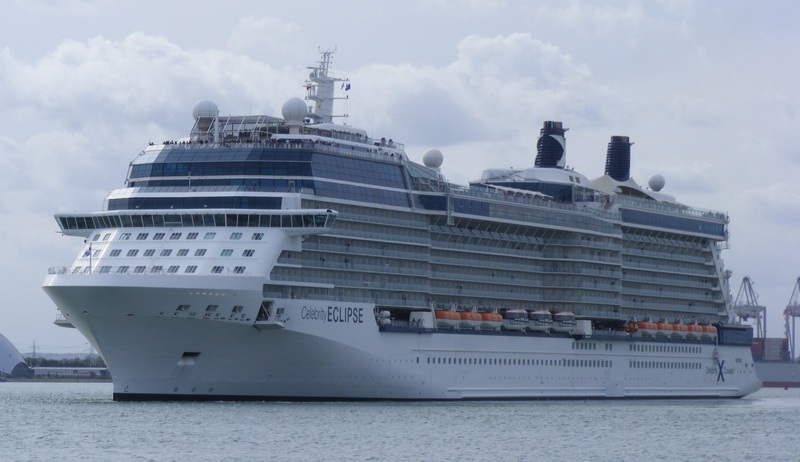 After a very long and very hot, wait in a queue (this despite advance ‘express’ check-in) we board the Celebrity Eclipse. One thing is for sure, we are going to get plenty of exercise going from one activity to another. Our ‘stateroom’ 7188 is the most basic but fine for us. It is lovely to get to know people I have only previously ‘met’ online. We then have the obligatory but farcical, security muster. The majority of passengers were mustered before the alarm sounded so the crew have no idea how long it would take in a real emergency. We watch a weird cartoon with an annoying jingle exhorting us to wash our hands. Hints on how to abandon ship are provided in English and Spanish (there seems to be a significant Mexican contingent on board) and we are away. We watch the Isle of Wight slip past. A very pleasant meal in good company. Chris devours a steak that is so rare that it looks as if it is still capable of meaningful life – he likes it that way. Then an excellent opening presentation from Paul Milner. And so to bed. We have to put our clocks forward an hour. I am already panicking that we may not find ourselves in the right place at the right time for tomorrow’s Scenic Flanders trip. I enjoyed your talks on board – looks like I will be enjoying your blog posts too! We heard that you had arrived home safely – hope all is going well. I really enjoyed your talks too and was sorry that your trip was cut short. So glad you made it, despite the dramas of getting there.